Hitting the road with the family this summer? Here are 10 Tips To Make The Most Of A Family Vacation. It’s hard to believe that summer is just around the corner. That means that vacation season is quickly approaching. Family vacations are the perfect way to create many lasting family memories. Growing up, my parents were not big vacationers. A family vacation for my family usually meant traveling by car to Pittsburgh to visit family. I admit, I used to always wish we would be able to travel to far off places and explore. But that wasn’t in my parents comfort zone and that is OK. I look back now are truly appreciate the time we got to spend together as a family. Now that I am a parent myself, I cherish those wonderful family memories we made. Simple trips are just as important as the ones that takes months to plan. 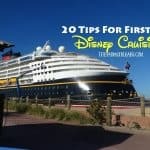 Today, I am so excited to be partnering with Alamo Rent A Car and their Scenic Route program to share these 10 Tips To Make The Most Of A Family Vacation. Alamo’s main goal is to make your family vacation successful – from car rental to travel. The recent 2017 Alamo Family Vacation Survey showed that the family vacation has become more and more difficult. The survey found that more families are working on their vacation, many feel “vacation shamed” by their peers for actually taking a vacation, and kids and social media envy dictate millennial vacations. Learn more about the Alamo Rent A Car Family Vacation Survey results here. As social media becomes ever more present in our lives, we need to make sure we step away from constantly looking at our phones, tablets or laptops and focus on what is really important: family. Mastering the “art of the family vacation” can be tricky. 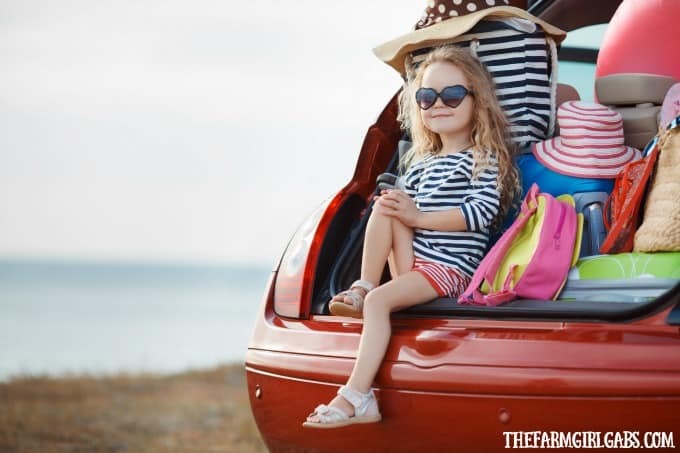 As we hit the road this summer these 10 Tips To Make The Most Of A Family Vacation will help you focus more on fun and less on stress. Don’t overplan, but plan ahead: I am a planner by nature. Having all your ducks in order like where you are staying, the length of stay and a general idea of some of the activities you will be partaking in is important. I like to explain to my family all these details. Don’t go overboard though and plan every single second of your trip. That’s way too regimented and no fun at all. Vacations should be relaxing. Get the kids involved in the planning: Once you decide where you are going, sit down with your kids and do some research with them. Ask them what they want to do. I guarantee it will make them feel important and make your trip run a lot smoother. Unplug: Set aside all those electronic devices and interact with each other the old fashioned way – a good old face to face conversation. This may be difficult for your family to do on the entire vacation, but setting aside certain times when kids and adults should be phone or device-free is the perfect option. 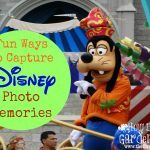 Document the memories: So many great memories are created on a vacation. Be sure to take lots of pictures or keep a travel journal of your daily adventures. This is something really fun to look back on. 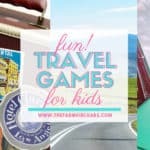 Pick A Family Destination: Choosing where to go on a family vacation goes hand in hand with getting the kids involved in the planning process. Happy family members equal a happy vacation. You need to find a location that offers something for everyone in the family. Take the Scenic Route: If you are flying into your destination and then traveling by car, be sure to check out Alamo’s Scenic Route page on their website. 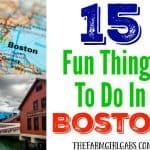 They have lots of great traveling tips. Take some extra time in your travels for stops along the way. Are you near a historic area? Is there an interesting landscape you could see? Is there a fun place for the kids to play or explore? Do you research and allow some extra time for exploring your vacation destination by car. Make Car Travel Fun: Keep the “Are we there yet?” questions at bay by having car activities for the kids to do. Keep the kids occupied with fun car games like I Spy, Car Bingo or the License Plate Game. Be flexible: Let’s face it, as much as we like to plan, things happen (like a sick child, meltdowns, flight delay or car problems) and plans change last minute. Be flexible, go with the flow and take a deep breath. Pack Smart: Ok, I admit, I am an overpacker. 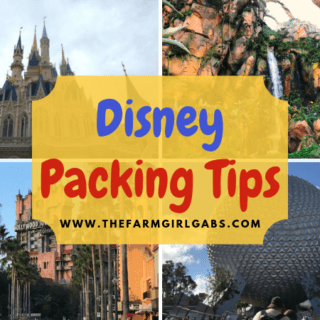 So I may not be the best person to give advice on how to pack – but I will. Be smart about it. Take into consideration where you are vacationing, the climate, the type of activities you will be doing and pack accordingly. You certainly won’t need a winter coat when traveling to a warm location like Florida. Explore & Learn: Family vacations are the perfect opportunity to explore the area and learn a little bit about the location too. Check out the local visitor’s bureau for a list of places to visit during your stay. So as you and your family set out on your travel adventure this summer, remember to enjoy the little things. Take the scenic route and remember to cherish every moment you make with your family. Do you have any summer vacation plans yet? Leave me a comment below. I would love to hear all about it. My husband and I are planning a vacation for the family. I want to be able to do something out of the ordinary, so that the trip will be memorable. I appreciate your advice to get out and explore the area where we are staying!